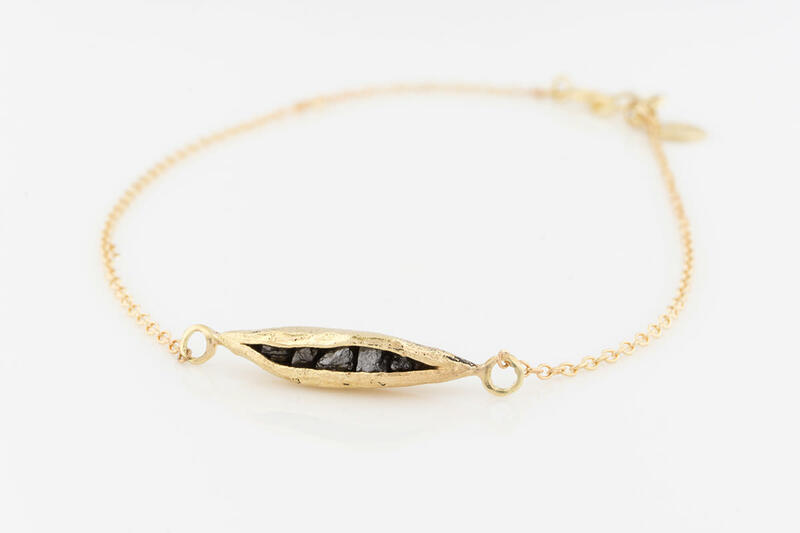 For orders, email us at info@arikojewelry.com and have something made just for you. Each piece takes about 4-6 weeks to make and 1 week to ship. 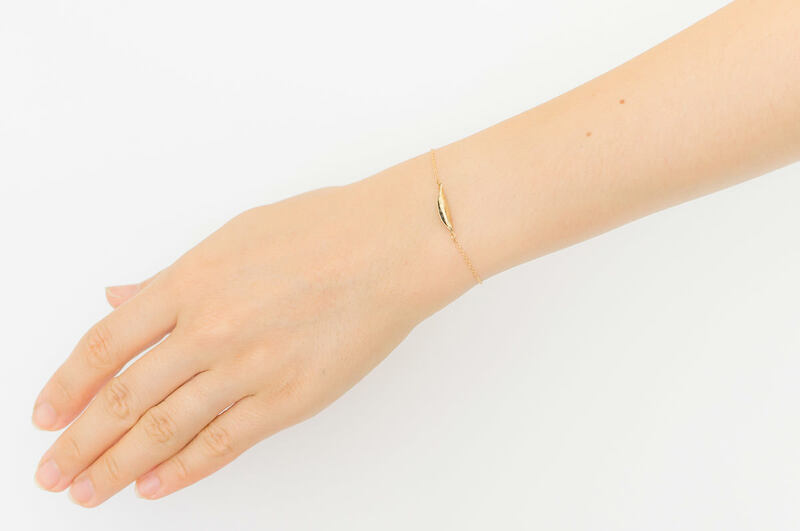 14k yellow gold bracelet, 15x3.5mm, rough black diamond chips, 6-7in adjustable chain. 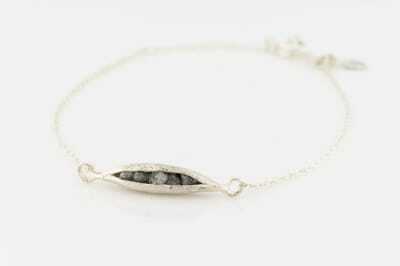 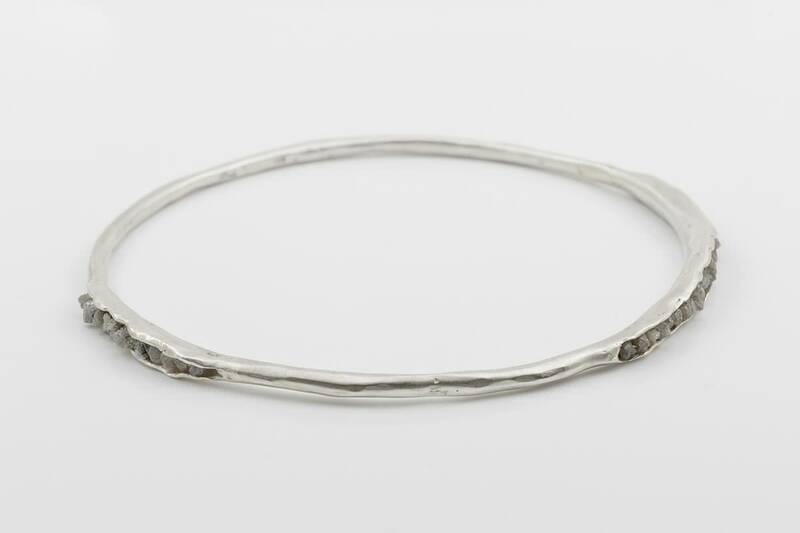 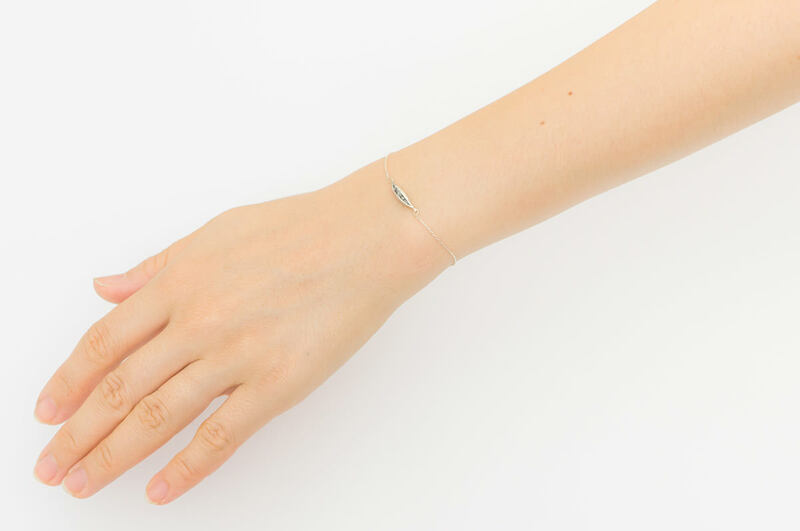 Sterling silver bracelet, 15x3.5mm, rough grey silver diamond chips, 6-7in adjustable chain. 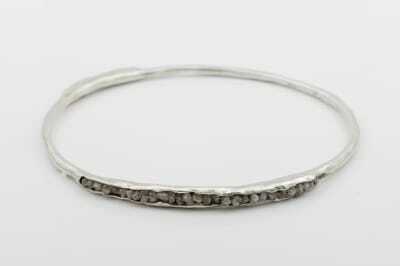 Sterling silver, 2.5in (64mm) diameter, rough cut grey diamond chips. 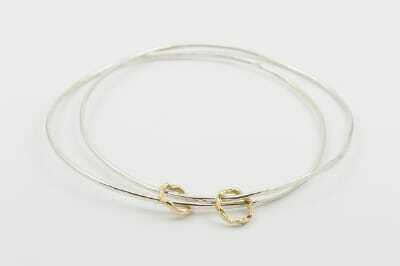 Sterling silver, 2.5in (64mm) diameter, two textured 18k yellow gold circles(10.0mm).